Sometimes it’s hard to tell your girl just how much she means to you. If you’re struggling to find the words, give her a gift to help show her how you feel. Have a look at this cute gifts for girlfriend list for ideas that will make her smile. 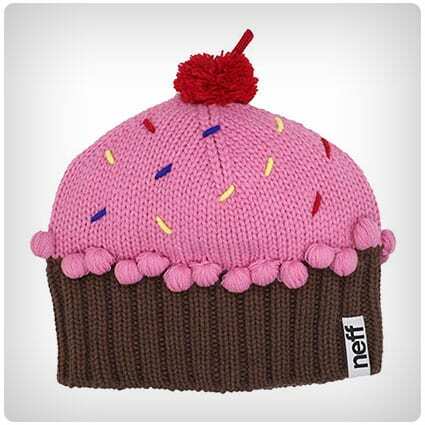 Get your cupcake a hat to match her nickname with this cute, knitted beanie. It’ll keep her warm as the weather gets colder (but she’ll still appreciate hugs inside your jacket). It’s fur-free too, so she can wrap up reassured of the ethics behind how it was made. If your love likes nothing more than a cup of tea in bed, she’ll go mad for this felt teapot handbag, with a removable strap and an inside pocket to keep her cellphone or keys. She might even make you a cuppa in the morning for once. Celebrate the day the stars aligned and you met the love of your life with this metal wind sculpture. A thoughtful gift for an anniversary, it’s personalized with the date you met and your names will appear to entwine as it blows in the breeze. 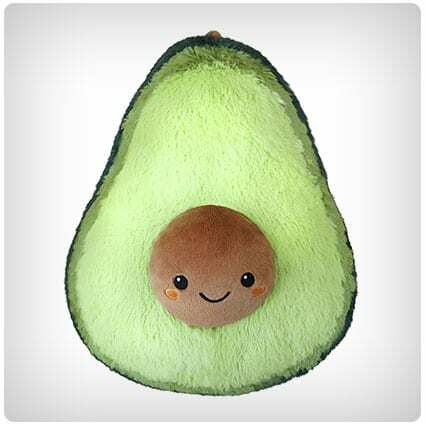 If you make the best avo on toast, she’ll appreciate the thought that’s gone in to buying her this plush avocado. She might not have known before that she wanted a huggable piece of fruit, but it’s guaranteed to make her smile. She can even cuddle it when you’re not there. If she’s more in to succulents than a bunch of roses, get her this adorable dog-shaped plant pot. The perfect size for her desk at work, it’s a cute gift for your girlfriend that will make her think of you every time she waters it. Show her how much your relationship means with an unconventional gesture – this thoughtful sketch features animals that mate for life, including owls and swans. It makes an unexpected gift for an anniversary or even an engagement, and she can hang it on the wall where it’ll be admired. If you’re experiencing the heartache of a long-distance relationship, these candles will help your love to feel closer to you, even when you’re in different states. Whether you live in California or Texas, send her one of these hand-poured, soy wax candles to remind her of her trips spent with you. 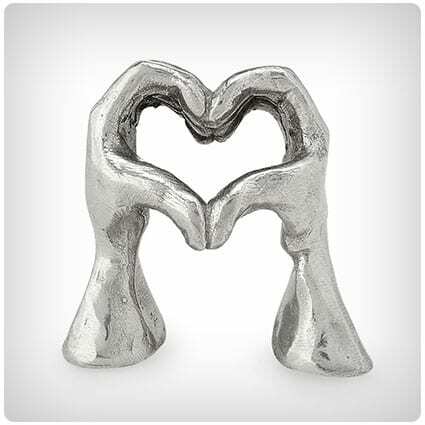 Everyone needs more love in their lives… whether she chooses to display it on her dresser or her desk at work, this contemporary, pewter sculpture, designed by Tamara Hensick, will remind her throughout the day that you’re the one who fills her heart with love. It’s hard when it’s time to say goodbye after a weekend spent enjoying each other’s company, even more so when you don’t know when you’re going to see your love again. Until then, she can hug this pillow to help ease the pain of being apart (give it a spray with your cologne too). When it’s cold outside, there’s nothing better than staying in and cuddling up together on the couch. 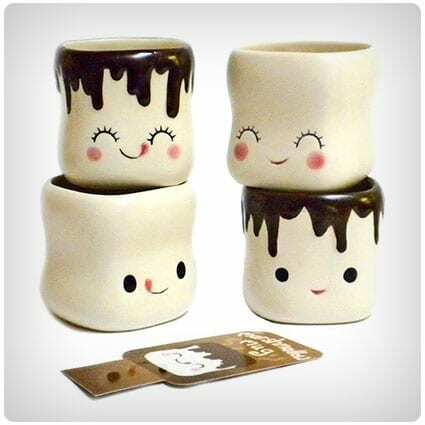 She’ll love these cute hot chocolate mugs to serve her favorite drink, and she can add whipped cream and marshmallows for a treat that’s as sweet as she is. If you’re struggling to put it in to words, give her this necklace to show her how much you appreciate having her in your life – rather than a traditional heart, the design features a sterling silver compass to symbolize that you’d be lost without her. They may not be 1 of her 5 a day, but these cute earrings make a fun gift for your girl if she always eats her vegetables, or if she just likes to be different. The pair features a Mr. and Mrs. Carrot design, made from polymer clay. 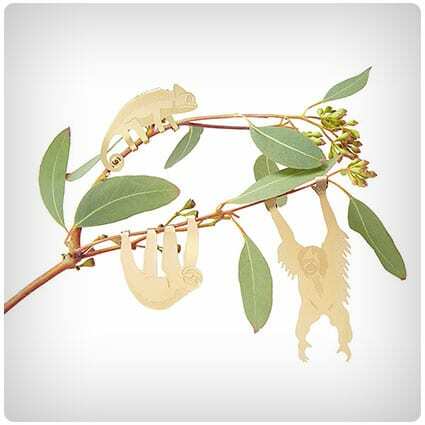 If you and your girl are always monkeying around together, she’ll like these fun plant hangers – choose from jungle animals such as an orangutan, or Australian bush babies like a koala to hang out on her plants. And if she can’t manage to keep a plant alive, they clip on to cables too. What’s not to love about sloths? Although she might not appreciate being compared to one, she’ll be more than happy to receive this adorable, weighted doorstop. It makes a cute gift for your girlfriend, especially if you’ve just moved in to a new home together. Every time she takes a sip from this mug, she’ll be reminded of your love for her – the stylish design features an embossed map alongside a message to let her know she’s your “world”. It’s the perfect size for her morning cup of coffee too. With the nights getting longer, there’s less sunshine to brighten up the days. This message in a bottle lets your girl know that she brings sunshine to your life whatever the weather, making it a thoughtful gift that she’ll appreciate more than a voice message. Girls’ farts are made of rainbows… Sparkle Farts agrees, and just like your girl, sometimes he lets one rip when you’re not expecting it. 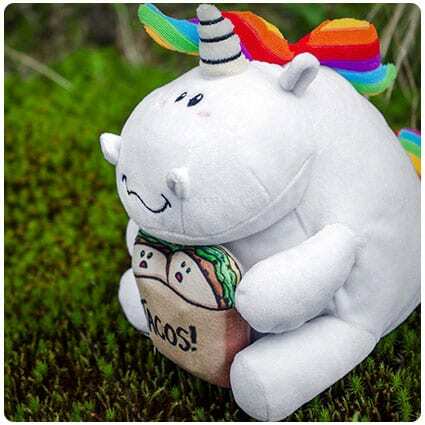 But let’s be honest, farting is pretty funny, and she won’t be able to stop herself laughing at this gift, which includes a Sparkle Farts plush, temporary tattoos and a poster. Whether you give it to her to complete together or you fill the pages with moments you’ve shared before wrapping it, she’ll love how thoughtful this scrapbook is so you can look back on your adventures together. It’s a gift she’ll treasure for years to come. She’ll look forward to coming home at the end of the day even more with this Larry the llama doormat (especially if you’re behind the door waiting for her). Made in India, this rug has a Peruvian scene with a friendly llama to welcome visitors. If she loves anything Kawaii (or her favorite meal of the day is breakfast), she’ll go mad for this plush toaster tart. At 18 inches, she can hold it when you’re not there to give her hugs, and it’s big enough to be used as a pillow. 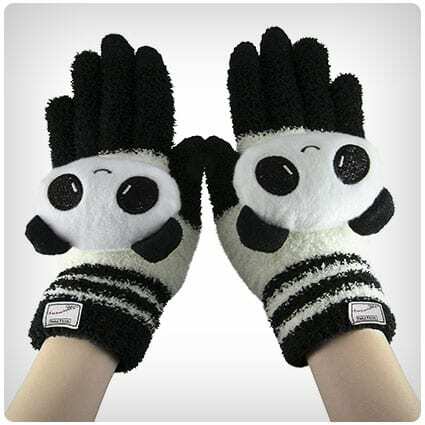 Make sure your cutie keeps warm this winter with these fingerless gloves that look like paws. And you don’t have to worry about knowing her size, as one size fits all in this style. There are 8 different colors for you to choose from too. If your girl is always breaking her cellphone, get her this silicone cover to protect it from bumps. A cute gift for a girlfriend who is in to We Bare Bears, the design has one of the characters on the back, as well as a 3D bear hanging from the top of the phone. She’ll find writing up notes at school or work more enjoyable with these cactus-themed gel pens – each plastic pen has a cute, silicone succulent on the top. Every time your girl puts pen to paper she’ll think of you…. she might even write you a love letter. 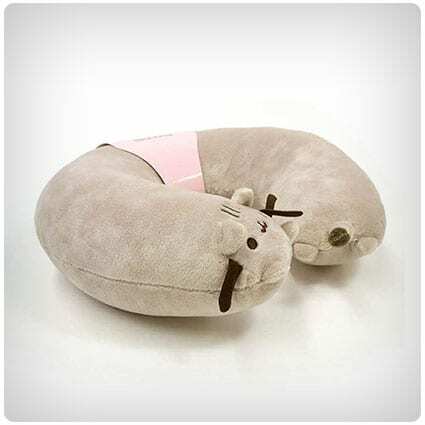 If you’re off on a romantic break, get her this Pusheen travel pillow to help her relax while you’re traveling – she can rest her neck on the soft, grey cat and arrive feeling refreshed at the end of your journey (and you’ll get some peace and quiet too). You can now get your love a t-shirt that not only has a transfer of her favorite food on it, but also puts in to words how you feel about her – if the pair of loved-up avocados don’t make her smile, the cute message will. These touchscreen gloves aren’t just cute, they’re practical too – the woollen design will keep her fingers warm in the winter, whilst also allowing her to use her cellphone, so she’ll still be able to give you a call to tell you that she loves you. See the look on your loved one’s face as she unwraps this gift; first as she falls in love with the beautiful, silver pendant, and then as she discovers you’ve written a heartfelt message and hidden it inside. It’s the perfect, personal gift for her birthday or an anniversary. Keep her sweet with these upcycled earrings that look like cupcakes topped with a cherry. The buttons are from Grandmother’s Tin, which the seller has kept and added to over the years, making the earrings a unique gift that you won’t find at the mall. You can’t go wrong with a unicorn-themed gift. Take her a cup of tea in bed in this mug – made from stoneware that’s been sculpted by hand, the design has a glitter mane and a gilded horn to bring a touch of magic to her morning. Cat lovers will be grinning like the Cheshire Cat when they unwrap this gift – the stylish, black shoulder bag has a subtle, feline-themed design with PU leather ears and an embroidered nose. And it’s big enough for her to carry around everything a girl needs during the day. Home is where the heart is, especially if your love is there. This cacti-themed doormat can be placed outdoors in the yard or indoors in the kitchen, making it a fun, housewarming gift for your girl… and she doesn’t even need to remember to water it. If you’re looking forward to a vacation together, treat her to this sequinned passport holder, which comes beautifully presented in a kraft gift box. Made by hand using vegan products, she won’t find this one-of-a-kind gift anywhere else, wherever she travels to in the world. These peepers are keeping an eye out for visitors – a cute gift for a girlfriend who’s moved in to a new place, the luscious lashes on this doormat will add a feminine touch. It’s made from natural materials with a hand-painted design, meaning each one is unique. She won’t be rummaging in her handbag for her keys with this fluffy key chain – and as it also doubles up as a coin purse, she can keep her loose change together too. It even has a cute, snowflake charm attached to the clasp. Girls love to talk about their feelings, right? She can write down what she’s thinking in this DIY journal that makes a cute, personal gift. Follow these eight easy steps to create stationery that she’ll love to show off to her friends. You can even leave her a thoughtful message on one of the pages. 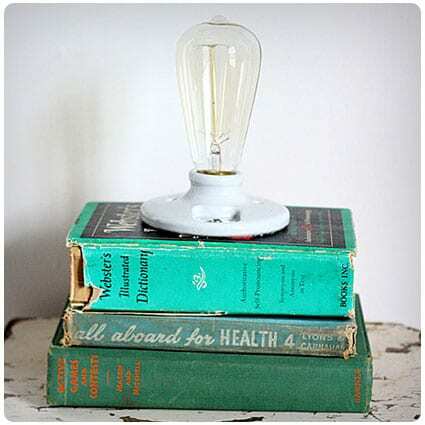 If your girl loves to read, she’ll go crazy for this DIY lamp that’s made from upcycled books. Grab your tools and check out this article to find out what you’ll need to make it, and you’ll light up her life as well as the room. Surprise her with these customized pillows for your bed and you’ll be sure to have her heart. The stylish gold leather will bring a touch of class to your bedroom, and you’ll be proud to have made them yourself. Read this article to find out how. Birthday gifts for girlfriends aren’t always the easiest to find, especially if it seems like they already have everything and anything they could ever need. Check out the following list to find the best gift ideas and inspiration around. You can’t go wrong with a personalized gift to show the one you love how much you care about her – on this personalized gifts for girlfriend list, you’ll find jewelry, prints and more that are sure to impress her.